“What sets us apart from the rest is our hands on technical experience in the field of tyre machinery and our passion to grow to meet the growing needs of our customers. our purpose is to deliver superior value to the users of our products through lowest total cost of ownership. We will achieve this effectively through a focus on innovation, technology and cost efficient manufacturing”. 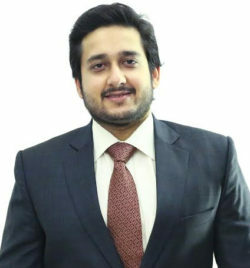 Mr. Ashish Nandra has been with the company since the inception of the organisation. He holds a Bachelors Degree in Mechatronics Engineering from University of Technology (Sydney) Australia. 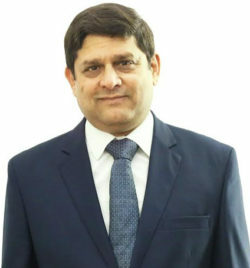 He spearheads the organisation and shoulders the overall responsibility of Sales and Operations and plays a major role in expanding the customer base of the company in India and abroad. His significant contribution in shaping Empire Techno as the pioneering and trusted brand in the Tyre Industry is commendable and influential. Almost three decades ago, when the India of today was still reeling under the pressures economic in nature, the rubber and tyre industries were still in its infancy that Empire Techno Engineers Private Limited started its operation in the year 1980. It was only in the early years of 1980s that Maruti first launched its car(the 800 series in 1983). We at Empire Techno Engineers Private Limited did indeed anticipate the growing need for machinery that would meet the specificity of the rubber and tyre industry when the company was established in 1980.Since then the journey has been arduous but we have continued to not only exist but flourish by continuously striving hard to meet the demands of the changing times through research and innovation. Today Empire Techno Engineers Private Limited stands out to be a leading manufacturer of rubber and tyre machinery and this reflects in our clientele that we have served and who have shown their continued faith in us. We have not only reached to the various corners of the country but have managed to penetrate the foreign markets as well. We had a vision of serving the rubber and tyre industries through innovation and customization that met their specifications. At the core of this vision were our traditional beliefs of honesty, integrity and ethical standards in all aspects of our business. Customers’ interest was and still remains of paramount importance. The hunger to create better ideas & better solutions, designed to solve customer needs in simplistic ways using the ever-evolving engineering advancements. We believe that there is always a better solution for every application and that there is always room for improvement. We like to be in our customers shoes – which helps evolve better ideas and solutions for each application. We are proud of our concentrated customer oriented approach. This is an interesting time for businesses – customers are much more aware and knowledgeable than before and look for world-class solutions. Providing them these solutions earns us the privilege of being our customers’ long-term partners and consultants whenever a need for machinery arises. At Empire Techno Engineers Private Limited, we do not believe in just closing sales on mere price points – we, instead, focus on providing the customer with a wealth of knowledge and expertise on the subject and helping them make a wise choice that would save them costs in the long term. Quality is a habit and way of life at Empire Techno Engineers Private Limited. As a famous French saying goes “from looking at the work one can know the workmen”. We are what we repeatedly do – hence excellence for us in not an art it’s a habit. We take pride, not just in our end products, but also in the materials, machines and processes that go into making the brilliant solutions. Most important of all, our human assets are trained from day one to strive for excellence in whatever they do at Empire Techno Engineers Private Limited. Today, Empire Techno Engineers Private Limited is geared for even greater success. We are taking steps to get better at what we do. A highly qualified and competent team of professionals across all departments of the company is focused on surpassing customer expectations at all levels. Each member of our team is an active participant and brings in new and fresh ideas to keep the organization alive to the vision and passion of its founders.We are more than motivated to carry forward the torch. We are confident of our ability to delight you with a solution that balances modern engineering capabilities with real world practicality. We appreciate your taking time to know us better.